Lineage. Established as 927th Operations Group, and activated, on 1 Aug 1992. Assignments. 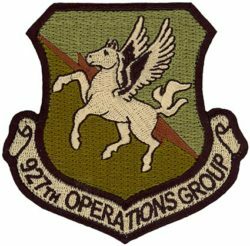 927th Air Refueling Group (later, 927th Air Refueling Wing), 1 Aug 1992-. Components. Squadrons: 63d Airlift (later, 63d Air Refueling), 1 Aug 1992-. Stations. Selfridge ANGB, MI, 1 Aug 1992-. Operations. Air refueling for evacuation of U.S. troops from Somalia in 1995 and NATO operations in the Balkans, 1995-, including Deny Flight, Joint Endeavor, and Decisive Endeavor.